“Herath said that the IDPs were a major issue in Sri Lanka and that the GSL’s claim that it was waiting to release IDPs because of the need to demine was false. He said that the government could and should release more IDPs and that the government’s continued detention of civilians was likely to lead to problems in the future.” the US Embassy Colombo informed Washington. The Colombo Telegraph found the related leaked cable from the WikiLeaks database. The ‘confidential’ cable recounts the details of a meeting the US Embassy had with the JVP MP Vijitha Herath. The cable was written on November 06, 2009 by the US Ambassador to Colombo, Patricia A. Butenis. JVP, reached in the run up to the last presidential election. the JVP viewed as an obstacle to democracy. statistics to paint a falsely rosy picture of the economy. war and for land it appropriated during the war. Front in May 2008, leaving behind the traditional leftists. lack of focus on important post-war issues. The statement by this JVP man to US Embassy shows what a set of traitors they are. They show the people that they are working in the interest of the country, but secretly working against the country for the money they get from the West. No wonder they are rejected by the masses. Herath was trying to formulate an election strategy to unseat Rajapaksa and his discussions at the US embassy showed his take on Rajapaksa’s lies and deceptions in his attempts to fool everyone. 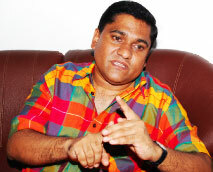 He said nothing that would have damaged the country but only the dirty and devious Rajapaksa. So, stop arselicking Rajapaksa. So Piranha, arse liking US is better? Americans poking their noses …. !